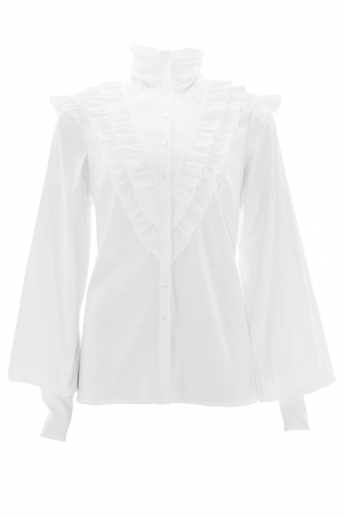 This elegant and confortable white baroque blouse, features a breastplate adorned with delicate frills on the chest and shoulders, as well as a high collar, creating a classy and romantic look. 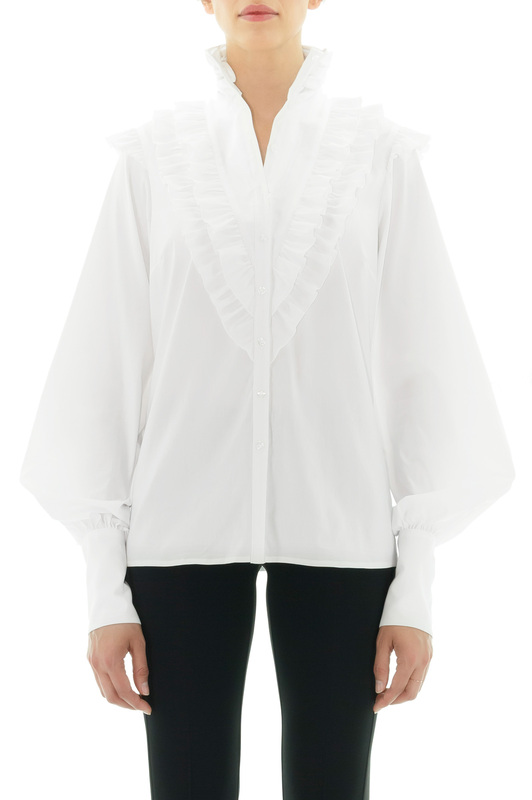 It is perfect to wear for a chic evening in Paris, paired with a pair of slightly distressed jeans and high heels. 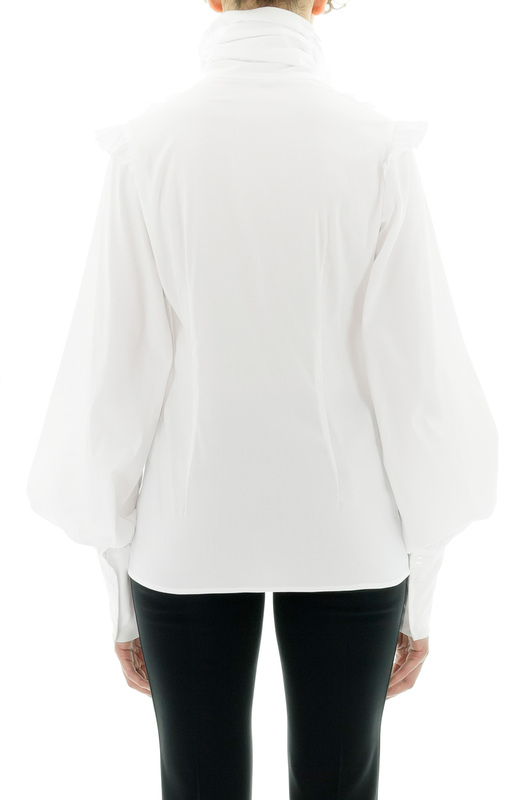 Composition: 66% coton, 30% polyamide, 4% élasthanne.